This first part of my coverage of the current and upcoming releases from New Zealand consists of a small collection of tasting notes from my early tastings. Unfortunately, the large shipment of New Zealand samples coming direct from the wineries arrived in the USA a little later than I had anticipated, so I managed to get only a few of these into this report, along with notes on samples provided by USA importers and tastings with winemakers. Since I haven’t yet finished the tastings, I’ll save my detailed vintage comments until Part 2 of this report, which will be published in Issue 223 (end of February 2016). I will say however that thus far the recent vintages that are currently available or will soon be hitting the markets – 2013, 2014 and 2015 – are a strong trio of successes pretty much across New Zealand. 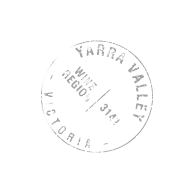 There are also enough differences in terms of characters and expressions across the vintages, apparent in the very best quality wines, to provide plenty of vintage variation interest and an array of valid ripeness styles for consumers. This issue’s line-up includes some, but by no means all, of the New Zealand rock star wineries, with top names such as: Greywacke, Felton Road, Schubert, Quartz Reef, Man o’ War, Neudorf, Dog Point, Cloudy Bay, Pegasus Bay and Kumeu River. Happy hunting! The 2013 Chardonnay has an understated, very classy nose of white peaches, fresh apples and lemon curd with hints of honeysuckle, almonds and baker’s yeast. Medium-bodied, the intensity of flavors – both citrusy and savory – does not disappoint with gorgeous ginger and nut layers and a lovely long finish. The 2013 Wild Sauvignon Blanc has a beautiful floral nose of orange blossoms and jasmine with underlying ripe nectarine, tangerine and spiced apple notes plus a touch of elderflower. Medium-bodied, ripe, expressive and with plenty of character, it fills the palate with perfumed stone fruit flavors, finishing long with a herbal lift. Pale to medium ruby-purple in Color, the 2013 Pinot Noir has a beautifully fragrant nose of crushed cherries and cranberries with lavender, violet and dried leaves suggestions. Medium-bodied, the palate offers great concentration with tons of red berry and baking spice flavors supported by finely grained tannins and finishing long with a herbal lift. Greywacke’s 2014 Riesling displays a beautiful nose of lime blossoms, jasmine and fresh grapefruit with a lemon zest and clover honey undercurrent. Light-bodied and off-dry, it fills the mouth with perfumed citrus flavors, finishes long and spicy. The 2014 Pinot Gris is intensely scented of spiced pears, ripe apples and honeysuckle with baker’s yeast and fennel seed hints. Medium-bodied, it fills the mouth with off-dry spicy poached pear flavors and finishes with a pleasant savoriness.